Both have plentiful shopping opportunities, beautiful coastlines, and historical points of interest. The Ocean Community Chamber of Commerce warmly includes businesses on both sides of the"blink and you miss it" stateline. Westerly and the Stonington village of Pawcatuck both hug the beautiful Pawcatuck River. The community share in its recreational opportunities as well as many festive waterfront events, from River Glow to the Annual Pawcatuck River Rubber Duck race to the annual holiday parades which proudly proceed from one community to the other. About 15 minutes from downtown Westerly/Pawcatuck is the beautiful, walkable village of Stonington Borough. This peninsula is packed with opportunities for dining, shopping, and exploring. The borough is the oldest one in Connecticut, receiving it’s charter in 1801. Strolling along Water Street, you’ll be able to stop into a number of art galleries, antique shops, jewelry and clothing stores, cafés, and restaurants. Go to the end of Wall Street to enjoy a walk through Dodge Park, a salt marsh maintained by the Avalonia Land Trust. Head to the tip of the peninsula, Stonington Point, for panoramic ocean views. From 10 AM to 1 PM every Saturday, the Stonington Village Farmers Market lets people get a taste of the local food scene. In the summer months, the farmers market takes place at the Stonington town docks. Commercial fisherman tie up their boats just a stone's throw away, giving you the freshest seafood available. 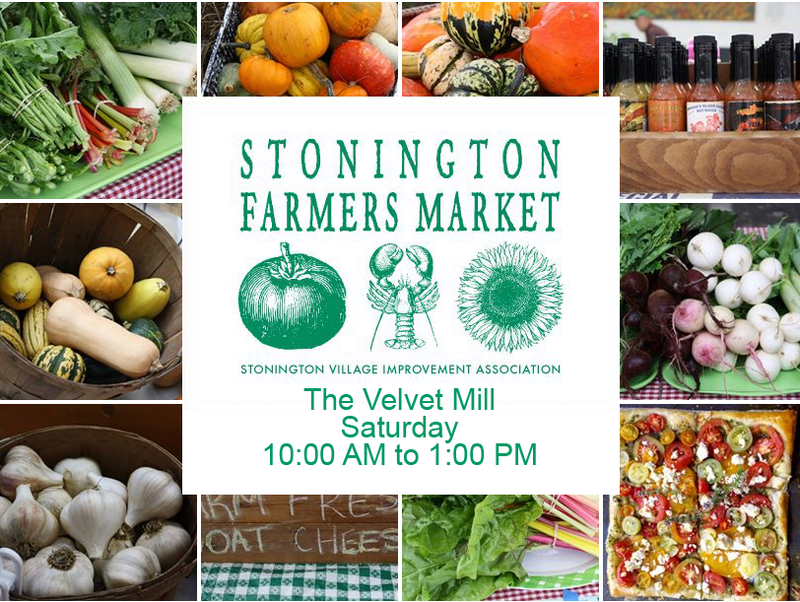 Between November 1st and the middle of May, the Stonington Village Farmers Market is held at the Velvet Mill. For many years, the Velvet Mill employed hundreds of people in the manufacture of velvet cloth. After it closed, the factory found a new purpose as a space for art studios and small businesses. 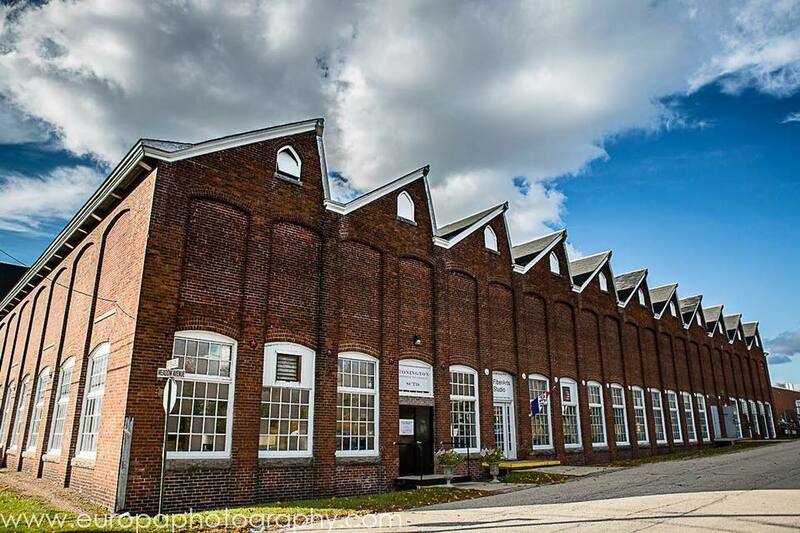 Dozens of artisans in professionals have set up shop inside the mill including painters, photographers, glassblowers, and craft brewery, bakers, and boutique stores. Close by is La Grua Center in an usual and lovely venue with the purpose of hosting interesting and enlightening get together‘s. Names for former Stonington photographer Maurice La Grua, the converted foundry building now has an educational event almost every day of the week. The center hosts lectures, concerts, classes, art openings, children’s events, and more. The proximity of the Westerly and Mystic downtown areas (another easy, 15 minute drive from one to the other) is ideal for those who love strolling, dining and shopping the main streets of yesteryear. Downtown Mystic has long captivated visitors with that classic New England charm. Rest for a while at the Mystic River Park, perfect place to watch the boats passed under the famous desk your bridge. Several annual festivals and celebrations in Mystic foster in appreciation for local food, art, music, and culture. Mystic is also home to a number of famous attractions that need little introduction. Beluga whales, penguins, moray eel‘s, and other fascinating creatures all away you at the Mystic aquarium. Touch tanks gives it a chance to feel a shark, stingray, and other marine life. Visitors can also enjoy a sea lion show, explore the secret life of frogs in an interactive exhibit, or watch a thrilling for D film in the national geographic theater. Want a close encounter of a different kind? Since 1929, Mystic Seaport has been giving visitors a fascinating look at the Maritime history of southeastern Connecticut. An entire 19th century coastal village has been re-created on 19 acres of coastal land. Hundreds of boats and ships have been restored and preserved on site. New is the impressive Thompson Exhibition Building. The eye-catching structure presides over a scenic quadrangle right on the Mystic River. It’s towering exhibit in space is large enough to house masted boats. Another notable attraction is Olde Mistick Village, adjacent to the aquarium and moments from the Seaport. Design to emulate an 18th-century New England Village, this collection of stores but the unique spin on the shopping experience. Strolling the lanes will take you around a duck pond and has beautiful intended Gardens. Old Mystic Village also feature several restaurants, a luxury theater and several popular annual events including woman are your holiday shopping and the taste of mystic showcase of local food specialties. Those who appreciate nature will find much to love. The Denison Pequotsepos Nature Center offers 8 miles of hiking trails, programs with the owls and other animals in its natural history museum, and numerous natural adventures in, including full moon and burning hikes and family bonfire nights. The DPNC also oversees 45 acres of land in historic Coogan Farm Nature & Heritage Center, which hosts book signings, cooking, gardening and art classes and other special workshops. Across from the center is the Denison Momestead. The 1717 farmhouse was home to six generations of the Denison family, and today it’s five main rooms are each furnished to reflect a different historical period. A discount is available for visitors who want to see both the homestead and the nature center. Over in Stonington, the Barn Island Wildlife Management Area provides a diverse mix of habitats from forest to tidal marsh two meadow. Hiking trails wind their way through these environments, and birdwatchers can spot a variety of avian species. With more than 1000 acres of protected land, Barn Island Wildlife Management Area is the largest Coastal preserve in Connecticut, just a few miles down the road from downtown Westerly Pawcatuck.